If you’re using one of the Hotspot FREE services and want to cancel the subscription, you can cancel the subscription in the Control Center. 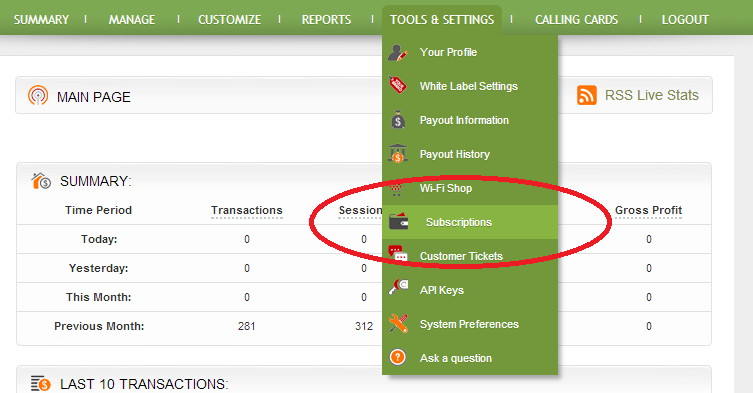 Click Tools & Settings > Subscriptions and click Cancel. NOTE: If you only deactivate a location, the subscription will remain intact.